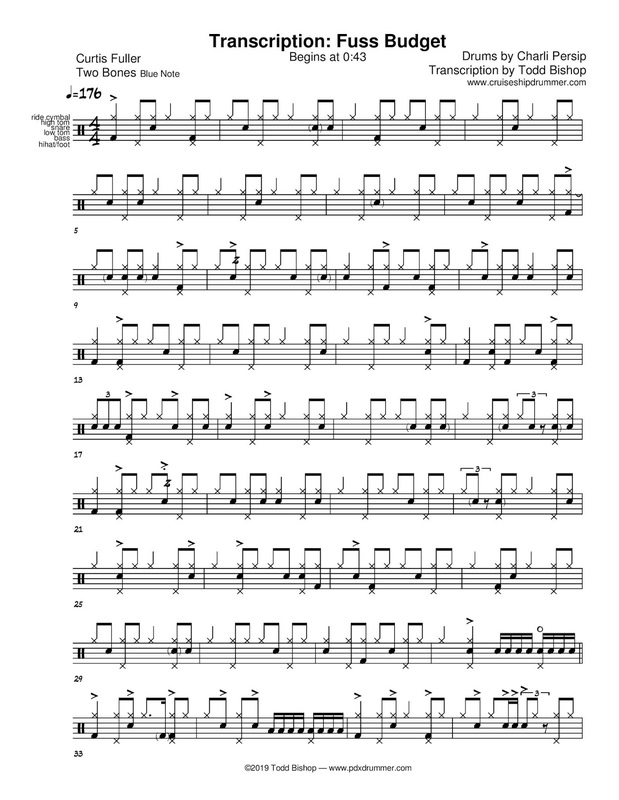 So here's a something easy for me: a couple of pages of on the tresillo and cinquillo rhythms, with all of their inversions. 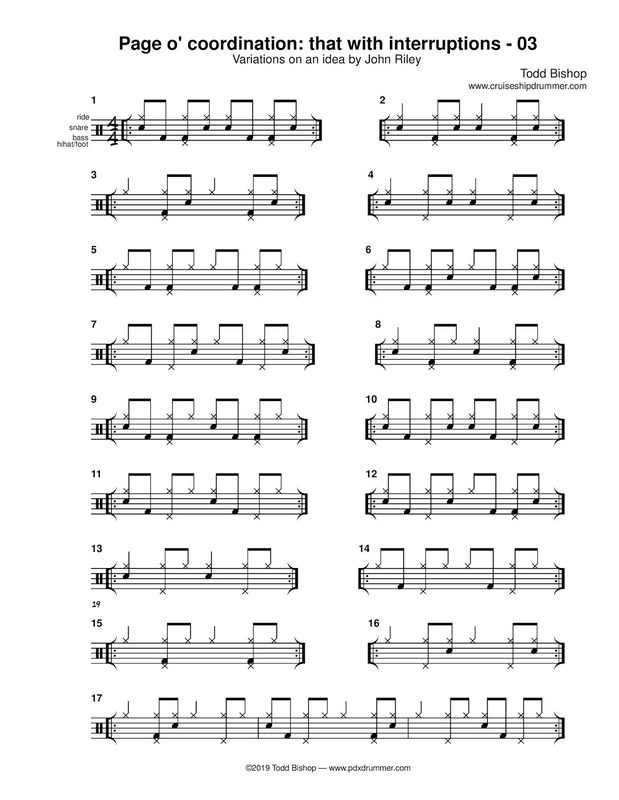 I refer to them by their Cuban names for convenience, but they are extremely useful rhythms for any kind of music. 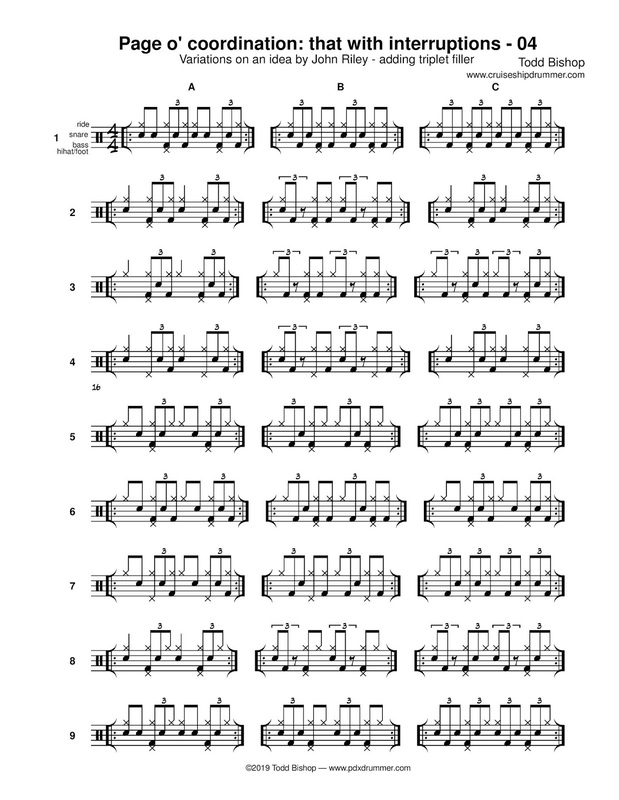 You already have these in your copy of Syncopation, but they're spread out over three pages, with a lot of other rhythms, and not in any particular order. 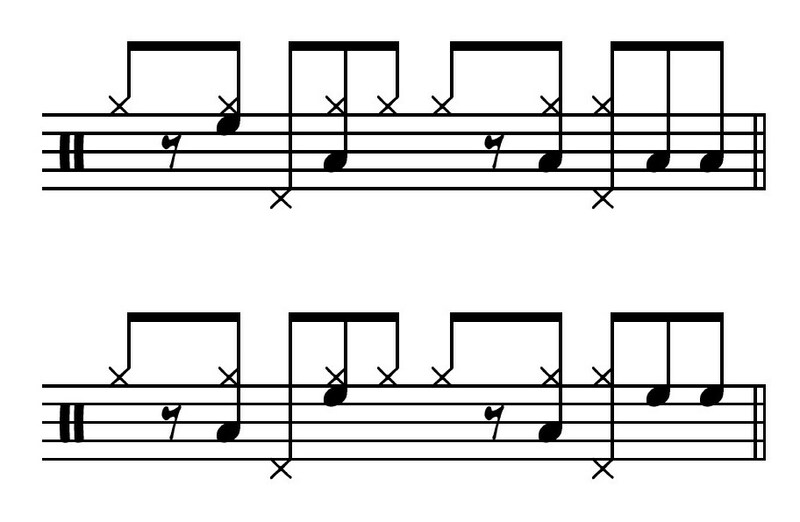 Putting these in logical order on two pages, maybe we can have a little more clarity in learning about these two important rhythms. 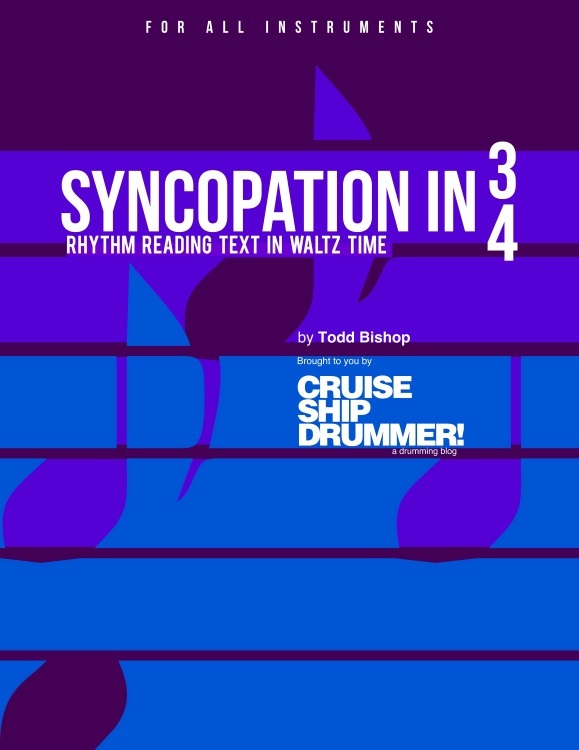 Use these the way you use the book Syncopation. Basically do anything with them. Another nice thing about having the variations all together is that all of the interpretations/orchestrations you do will be of equal difficulty, with the same type of flow. 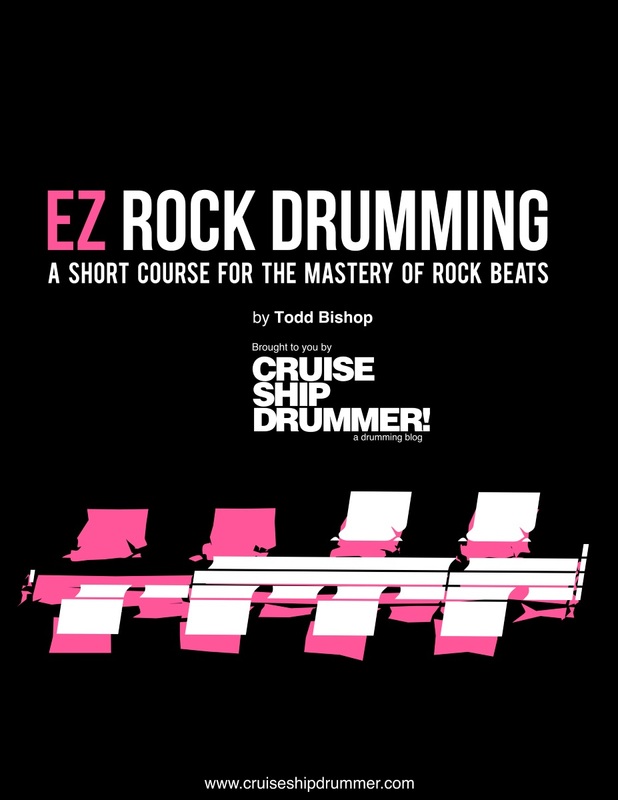 Here are a few specific drills for use with the EZ rock method from the other day. Not every single thing you play using this method is going to sound great, but it's a solid method for learning to improvise embellishments on a simple idea, while maintaining a strong quarter note-based groove. 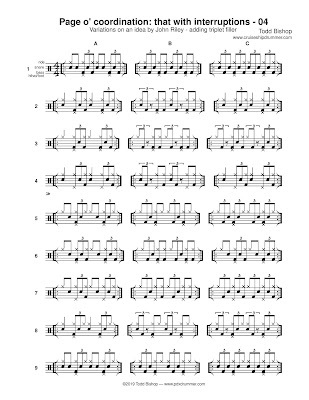 I suggest practicing all of these ideas until you can play all the exercises from the book without stopping— lines 2-15, plus the 16 bar exercise. It will be more fun if you use one of my practice loops. Hm, Lex Humphries has been coming up a lot lately. I heard this tune played on KMHD, Portland's jazz radio station: Taboo, played by Duke Pearson on his Blue Note album Profile. I should think about Humphries more— he is on a lot of records, and he's great. Here I've transcribed the Afro 6 feel he plays on the head of the tune, but the reason it caught my attention was the strong groove during the piano solo. He plays the cymbal beat with a strong quarter note pulse. As I listen to it on my computer, there's a pronounced tension between the bass and drums— the bass is on the front of the beat, and the drums behind. The main felt pulse is actually somewhere between them. He also has a really nice sounding 20" ride cymbal. High pitched, clean, dark sound with sort of a pillowy quality. Mellow bell sound that is just metallic enough to give it some energy. How are you outfitted for cymbals? I sell the things, you know. I have a couple of light 20" Holy Grails in stock with a similar vibe. I don't like giving you pages with too many patterns on them. When I do that, the idea is that you move through the patterns quickly, and cover them all in one unit of practice— 15-40 minutes. I include so many patterns in this post partly just to illustrate how many ideas come from the one simple original thing. These pages go with the original “that with interruptions” page o' coordination. 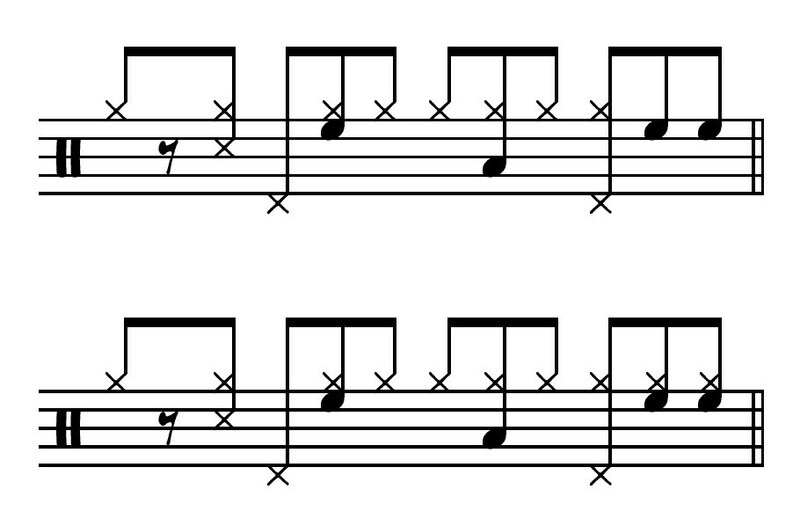 We're adding some middle-of-the-triplet filler notes that go with the starting pattern, and including them in the variations. The first pattern is the hardest; after you learn that you should be able to cruise through the rest of them pretty easily. Print out the original page, and keep this with it. The line numbers on the left correspond with the same numbered exercise on the original page— except the last four. There is a duplicate pattern on the original page. It shouldn't be too hard to figure out. 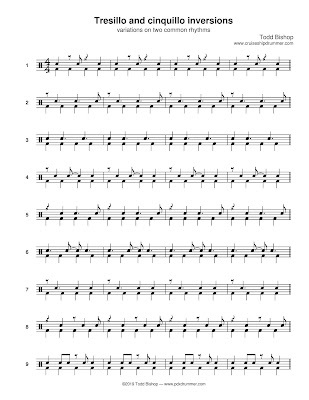 Play the exercise on the original page, then learn variations A-C on these pages. Hopefully after playing these pages a few times, you can throw them away and just improvise your practicing with the general concept from memory. Listening to the Japanese band Boris while I finish my taxes. First rock band I've liked in a long time— mashing up all of the 90s (or the first half, anyway) and making it better. BOPWORKS STICKS NEWS: For those of you who asked about getting some free Bopworks sticks, I'll be sending them out this week. I'll email everyone who will be receiving them. While I finish doing my taxes, here is an item in development. This is related to the late hemiola funk series, but I'm tired of looking at the word hemiola, so I'll call it 3/16 Control instead— since we're dealing with three-16th note patterns, played in */4 meters. 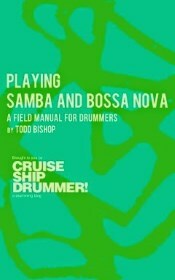 The exercises develop some fundamental coordination and rhythmic ideas. 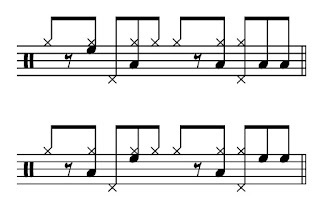 Play patterns 1-4 as written, and substituting the bass drum for the snare drum. I've given some practice ideas on page 2. 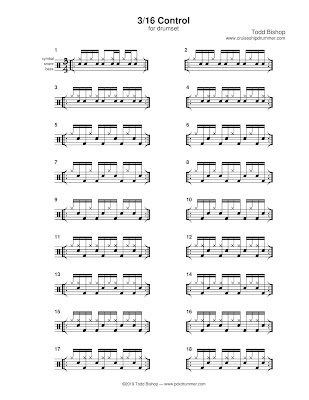 Also try playing the 3/4 and 2/4 versions repeating unbroken in any meter— 3/4, 4/4, 5/4. Dig through my practice loops to find something to play with. Don't neglect patterns 3 and 4. I may have written this up before, but I can't find it in the archives, and I probably didn't include the embellishments I'm going to tell you today, so what the hell, let's do it again. 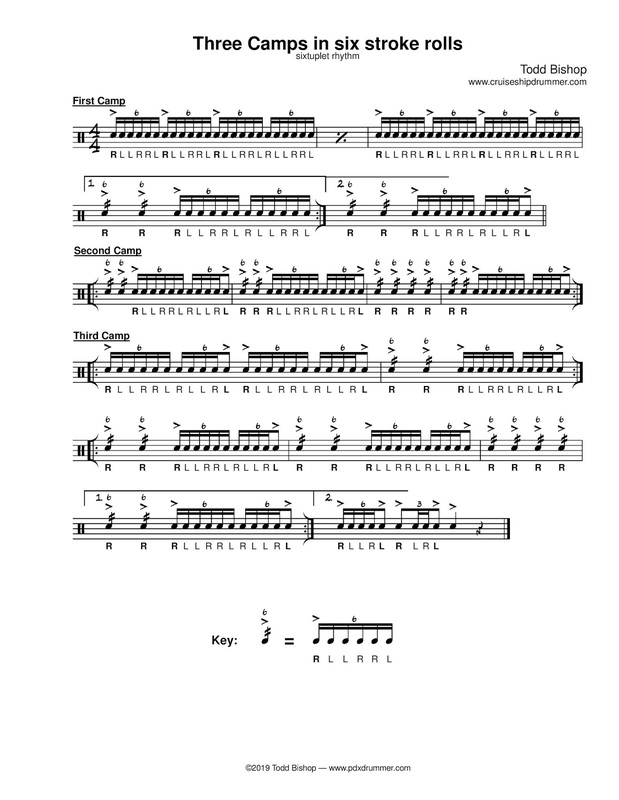 This is an easy rock method using the linear quarter notes pages from Progressive Steps to Syncopation— that's “Lesson 3” in the new editions of the book, or pp. 8-9. 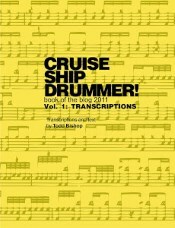 For once we'll actually use the written bass drum part— I almost always ignore the stems-down part in the book. Do the following things with exercise lines 1-15, plus the 16 bar exercise. You should quickly be able to play exercises all the way through without stopping. 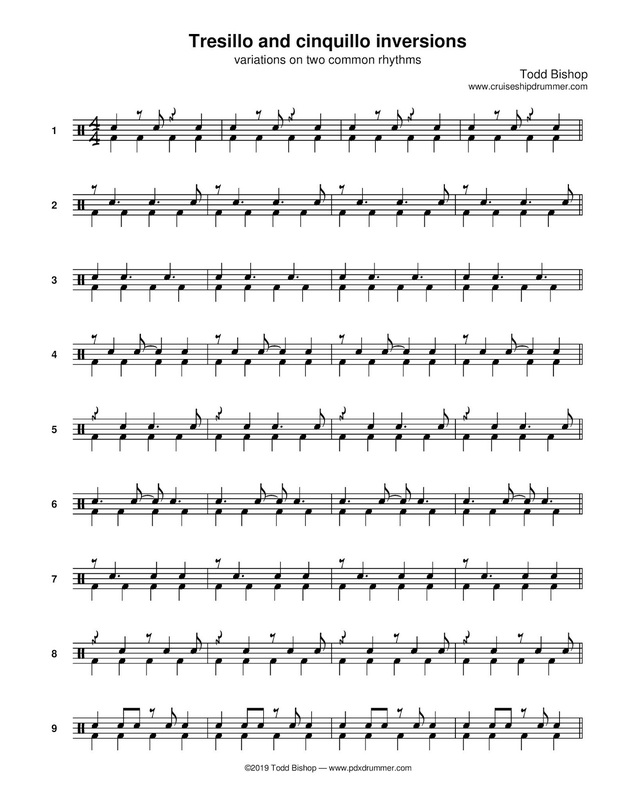 If you have my book Syncopation in 3/4, you could also do this drill with the equivalent patterns in that book. There's no reason you have to do only one of these things at a time— once you're basically familiar with the method, you should be able to improvise your own combinations. The method is so easy you'll probably get tired of it before you run all the combinations exhaustively. It's fine; the goal is just to play the patterns in the book with some improvised embellishments. Play through it with one of my practice loops. 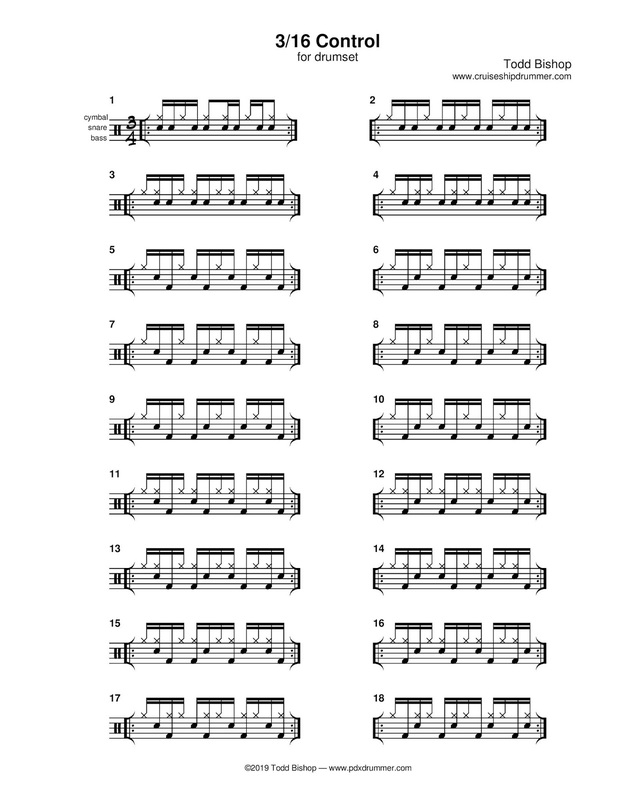 For awhile I was campaigning to get this RLLRRL sticking called “Swiss sixtuplets”, based on an overheard conversation from drum corps days, when George Tuthill and Alan Kristensen, two corps legends, were talking about rudiments. George was my corps director and Alan was the drum line instructor. 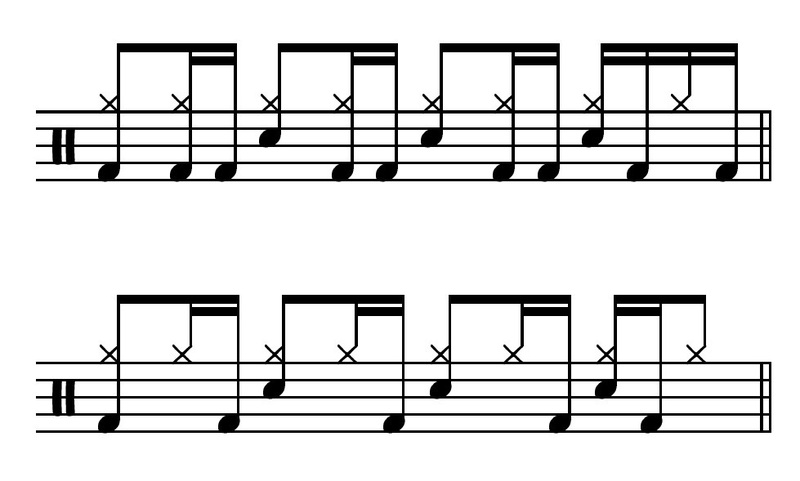 George mentioned that Swiss rudimental drummers routinely played sixtuplets this way, instead of as singles. 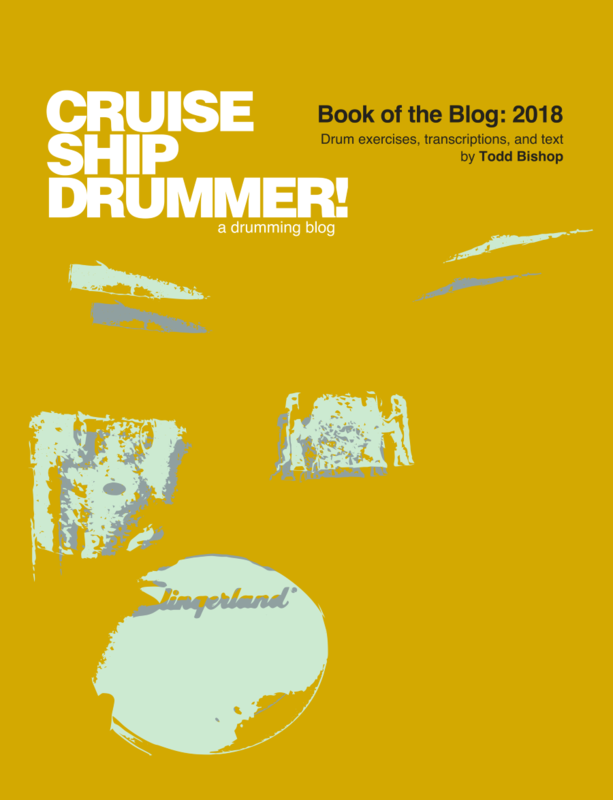 I haven't found any evidence of that being the case, but I wanted to try to force a piece of my personal lore into the drumming literature anyway. Whatever: this is a companion for the recent Three Camps in paradiddle-diddles; taken together they're an opportunity to really smoke your major sixtuplet stickings. You should be able to do these fast. 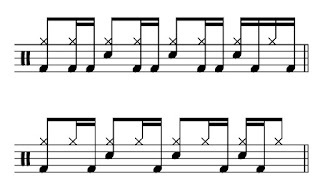 Normally when playing this rudiment I accent both of the singles— the R at the beginning and the L at the end; doing that here messes with the integrity of the piece. Accent that trailing L lightly, if you must. It is often said that in a musical ensemble, keeping time is everyone's responsibility. And in some hypothetical quantum universe or other fantastical musical fairyland, people may actually follow that in practice. In reality, it's all on you, the drummer. You will always be the one blamed when there are problems with the time. You are the receptacle for everyone's problems with the time— both real and imagined— and you will be expected to fix everything. So your time has to be good, so good that you know it's good, and can speak with real confidence when it comes up. For professionals required to play modern music in a wide variety of tempos, styles and settings, where you are basically expected to maintain metronomic accuracy, I don't believe you can rely on body motion, technique, listening, feeling... “innate groove”... whatever mickey mouse theories people have about the mysterious place good time comes from. It doesn't lie in your muscles, your soul, the motion of the sticks, or the structure of your anatomy. It resides in your head. The time has to be conceived. You could say it's an intellectual process, I would say it's about awareness. Time awareness can be learned. I should clarify: there is plenty of indigenous/folkoric music, some of which is extremely rhythmically sophisticated, in which the time may be very much reliant on the things I listed above. 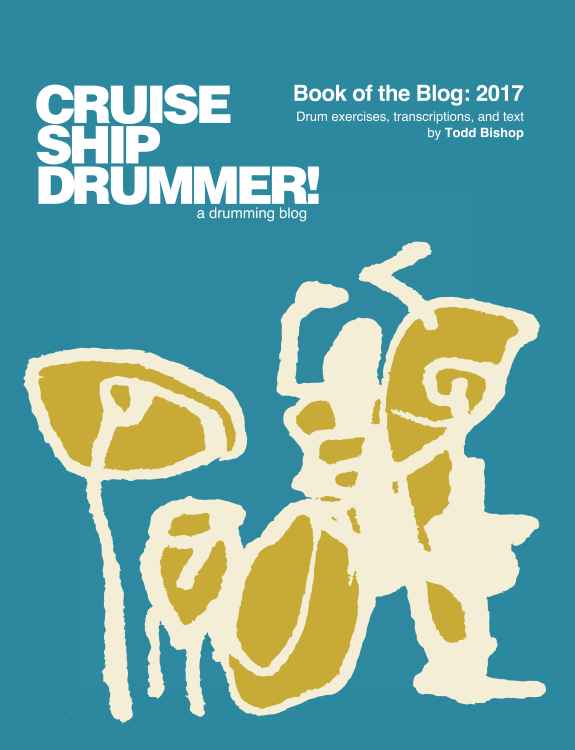 That music may be the greatest art in the world, but the demands are different for professional musicians playing the drum set. In learning to play, we work on a lot of stuff. A whole lot of drumming crap, none of which matters if it isn't servicing the time. Not only do you have to be able to do it in time, you have to use it to construct the time. So we have to resign ourselves to the idea that time is something we have to build and constantly maintain with what we play. There are times where you are allowed or able to take a looser attitude, but you have to be able to do the constructive thing. The nice part is that when you're playing really good time, little else matters. The crap you wanted to play doesn't seem that great any more. 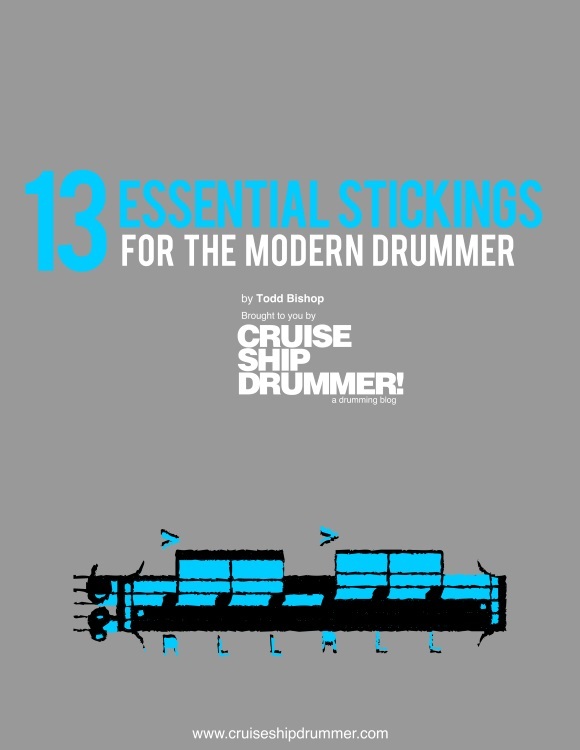 You can be a great drummer with very little drumming crap. Vocalizing is how we make sure our brains get it. It gives you internal concept of the musical idea, which you can then express by playing it on an instrument. Counting the rhythms out loud is a functionally OK way for doing that. I think of it as a low-grade version of the very ancient, sophisticated and effective Indian rhythmic solfege. For any piece of music you should be able to vocalize the rhythm of the notes only, and the notes plus rests, counting rests as if they are notes. 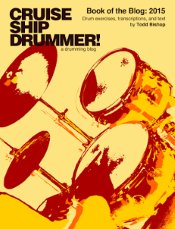 Playing something written out for the drumset, you should be able to count the combined rhythm of the snare and bass drum parts, and the combined rhythm for all of the parts. Personally I only take this to the 16th note level: 1-e-&-a 2-e-&a. At normal tempos I wouldn't count complete rhythms for sixtuplets or 32nd notes— I count those as 8th notes, with no syllables for the subdivisions. A major place where your time will get messed up is with anticipations— long notes landing right before the beat. You hit a lot of &s of 2 and &s of 4 in jazz, and they tend to rush. When you hit a long note on the & of 4, know where the 1 is, and know how long the space is from the & of 4 to the 2. 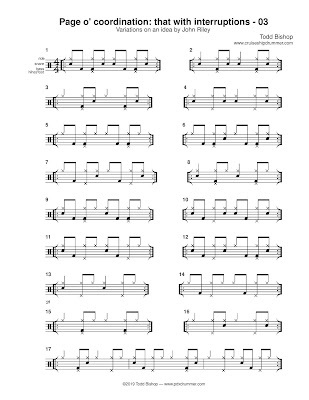 Jazz drummers can get almost phobic about the 1 and 3, like they're the white beats that will show everyone how ungrooving you truly are if you acknowledge them. But they're the context for all the super-hip stuff you play. You have to know where they are, and state them accurately, especially if you're doing an Elvin Jones type of cymbal interpretation. 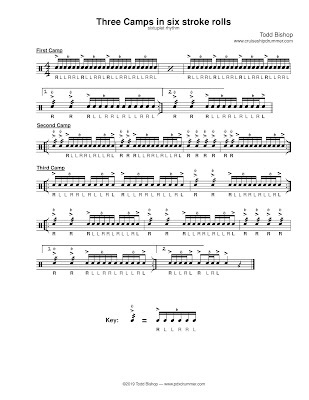 Practice with your metronome set to the slowest speed you can handle, regardless of the tempo you're playing. Like a quarter or 1/8th speed. So if you're practicing something at quarter note = 120, set your metronome to 30 or 15. This forces you to conceive the time in your own head, the exact same way you need to do when you're playing music. The metronome just comments periodically to tell you how well you're doing it. I set mine from 15-40 BPM all the time, unless there's a good reason to do something else. 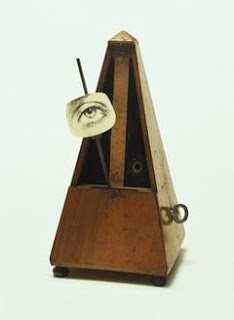 People like to get cute with their metronomes, programming them to drop out for a few measures or whatever. That's just dancing around the real issue, which is ongoing focus on the time. Just learn to deal with a constant slow click. Try it with any other recordings you know well. If you wanted to, you could memorize the BPMs for your remembered music catalog, so you can recall the entire functional range of tempos just by thinking about it. Fool your friends. The more important thing is just to know that this is a thing, learn to trust its accuracy, and begin exploiting it in your playing every day. For example, in playing and recording, I will often memorize the sound of the countoff— not the tempo, the actual sound of the person's voice— or the horn pickups, to check the timing of the tune in progress. See what you think. These things have all worked very well for me, I think they'll work for you too. Another funk groove with a Brazilian flavor, from Shebaba by the guitarist Bola Sete. The album must have been recorded in Los Angeles, because on it are the saxophonist Hadley Caliman, and my old combo leader at USC, the pianist Dwight Dickerson. He used to do our rehearsals and then go play his regular gig with Tootie Heath. This is an instrumental arrangement of the Gilberto Gil tune Roda. 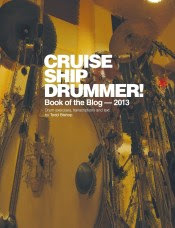 The drummer is Ronald de Mesquita, a Brazilian who did a lot of road gigs and also lived in LA then. 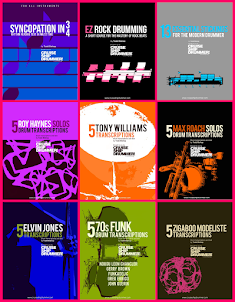 It's a partido alto funk groove, which you can see most clearly in measure 5— compare that to the Airto and Ivan Conti recordings under that link. He's playing it pretty simply here, basically a Brazilian bell rhythm with snare drum and bass drum added on the accents. 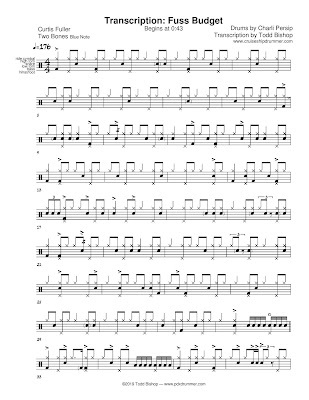 The tune starts at 17:00 in the video, and the transcribed groove happens at 18:33. 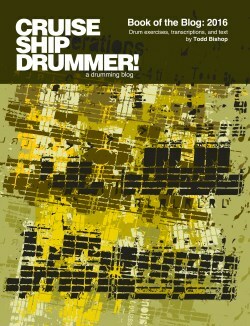 There are a few drummers who I really, really love despite having not heard them on that many records. I have a relatively few albums I listen to all the time, and some people are just underrepresented. Charli Persip is one. He's on a ton of stuff, just mostly not the records I listen to— with a few notable exceptions. But he's basically the perfect high bebop drummer, with a perfect balance of intelligence, groove, assertiveness, hipness and taste. 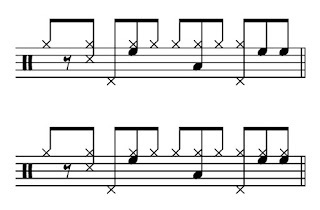 A bebop groove, with the repeating cymbal rhythm, can begin to feel somewhat static if the comping is too predictable— and this a good example of not-that. He's mostly comping in single notes, but they're not always in the same place in the measure; some of what he's doing suggests 3/4 within 4/4 (like in the first four bars) but he's not obvious about that either. He picks his spots for the more assertive punctuations. Here he plays his cymbal beat with all the notes basically at an even volume. 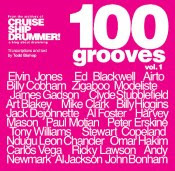 It's an interpretation I associate with Billy Higgins, but where Higgins has a very relaxed vibe, Persip is emphatic and grooving. 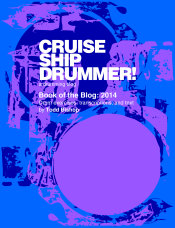 He's got quite pocket with it— it's worth listening all the way through just focusing on the cymbal. He is feathering the bass drum for much of this, but I've only notated it in a couple of spots where he plays it pretty strongly, and it sets up something different. 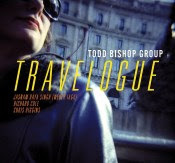 Note: the album cover in the video credits Al Harewood on drums, but that was a mistake. 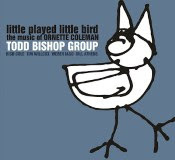 Persip is credited for this track on the Blue Note box set. And it sounds like Persip.